1) That first layer of soil in your yard (anywhere from 2-8 inches) is a rich complex layer of organic matter and is considered a non-renewable resource, because it can take a few hundred years to form. Composting your half eaten veggies & fruits, grass clippings, and leaves helps to sustain and restore that top layer. Your garden and lawn will thank you for it! 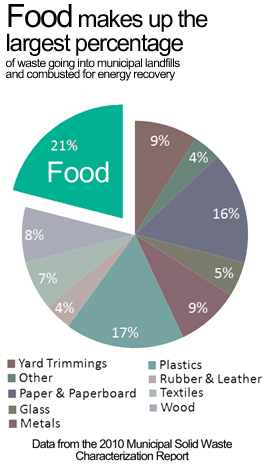 2) Composting does not fill up our landfills! Food inside of plastic bags without microbes does not break down very well. It is estimated that 20% of the landfill is our food—most of which could decompose naturally in compost bins and be used for something useful, like starting an amazing garden! Use your food scraps to create more food! 3) Forget expensive fertilizers! Composting will fill your garden with rich nutrients and attract microbes that will help your plants flourish. Your body will also flourish as you eat healthier fruits and veggies without the need of pesticides or growth starters. You can also throw some compost in your flower beds for amazing blooms. Compost is nature’s fertilizer! 4) Composting empowers people to be more self-sufficient and more connected to the land. It teaches us ‘The Food Cycle’ and leads to more awareness about our own health and what it takes to have a healthier environment. Most kids growing up today have little idea where their food actually originates, and they are misled into thinking that it simply disappears by throwing it into the trash without consequences for their future. Instead, you can introduce fun and creative gardening and composting activities for your kids. They will have a blast digging in the soil, finding worms, and planting seeds that one day will provide food for their dinner plate. They will see the magic in the food cycle, and you will too! 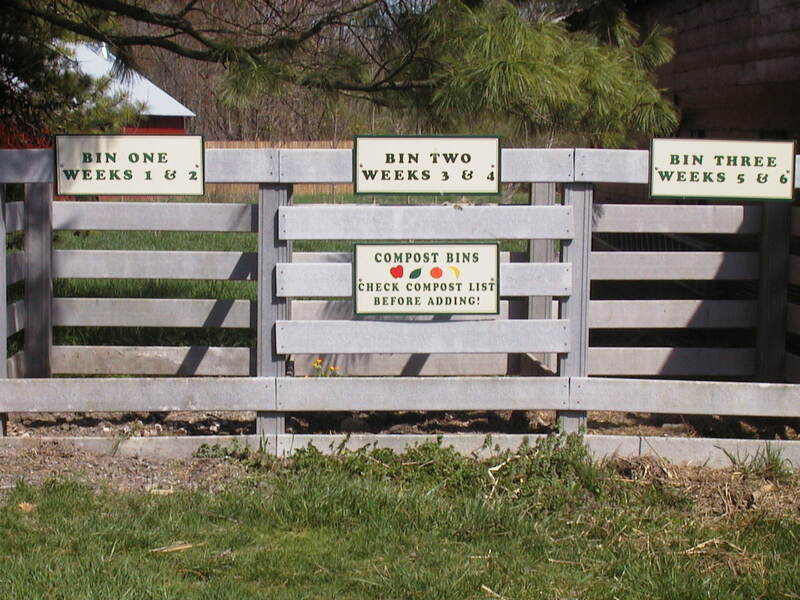 Interested in learning more about the art of composting but not sure where to start? You can contact Kyle at k.king@copeenvironmental.org for more resources or just stop by and check out the compost bins at Cope Environmental Center! We will also be hosting a Gardening Homespun Workshop on Thursday, May 14th, from 5:30-7:30pm, that will discuss composting and much more! Celebrating 95 with a Groundbreaking Event! Helen Cope, one of the founders of Cope Environmental Center (CEC) and a Centerville High School biology teacher for 15 years, is turning 95! A birthday celebration will be opened to the public on April 10th following a groundbreaking ceremony at 3:30pm for a new educational and orientation building at CEC in her honor. Both events will be historical–one is celebrating the life of a teacher and pioneer for conservation and sustainability in our region, and the other is breaking ground for the first ‘Living Building Challenge’ project in Indiana. Presently, there are only 6 certified ‘Living Buildings’ in the world. What exactly is a certified ‘Living Building?’ The International Living Future Institute defines one as “a demonstration that the built environment can actually help restore the natural environment.” It is a way to move the market forward in environmental design and tackle global challenges such as growing energy and water demands without compromising the health of people or fragile ecosystems. 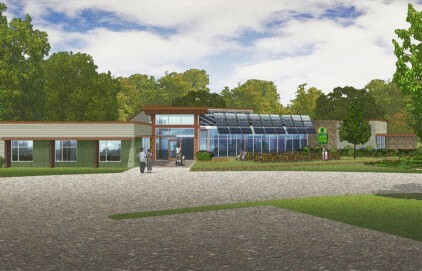 The new building will also serve as the official trail head of the upcoming Bicentennial Legacy Conservation Area—a new recreation area that will include a children’s park and possibly a system of trails connecting Cope Environmental Center down to Whitewater State Park. This newly designated conservation area will not only protect East-Central Indiana, an area that has long been identified as “undeserved in public lands with biologically significant assets,” but it will also be headed by a new species of building that thrives with nature’s ecosystems rather than against them. CEC is excited to use the design of the building as a teaching tool, and it is fitting that the life of a teacher will be celebrated in conjunction with the ground breaking of it! 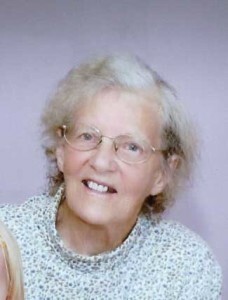 Interested in attending the groundbreaking and greeting Helen at her birthday celebration on April 10th at 3:30pm? Reservations are not required, but the Cope Center would be happy to hear from you and can provide more information at 765.855.3188 or k.king@copeenvironmental.org. Birthday refreshments will be available. Carpooling is highly encouraged though some overflow parking lots will be available. Handicap parking is also available at the site for the celebration located at 1792 Airport Road, Centerville, IN 47330. Studies however are increasingly showing that the ‘safer’ option is to kick our kids outside to commune with the birds, the bees, and the trees and that it is much more dangerous to leave them inside. Engaging nature and our natural surroundings appears to be just as important to our health as eating right, getting enough sleep, and being engaged and cared for by loving friends and family. Kids left indoors struggle with higher rates of obesity, asthma, ADHD, cardiovascular disease, and vitamin D deficiency. 1) Reduces Stress & Anxiety (Studies have shown that nature can act as a buffer of life stress among rural children). 2) Treats ADHD Symptoms (Children have shown an increase in attention spans after activities in greener settings). 3) Improves Physical Health (There are lower prevalence rates for diseases for those who live in a more natural environment as demographic studies have demonstrated). 4) Improves Self-Esteem, Energy Levels, and Reduces Anger (Studies have shown that we get more out of exercising outdoors than indoors and that “green exercise” is associated with “feelings of revitalization and positive engagement”). 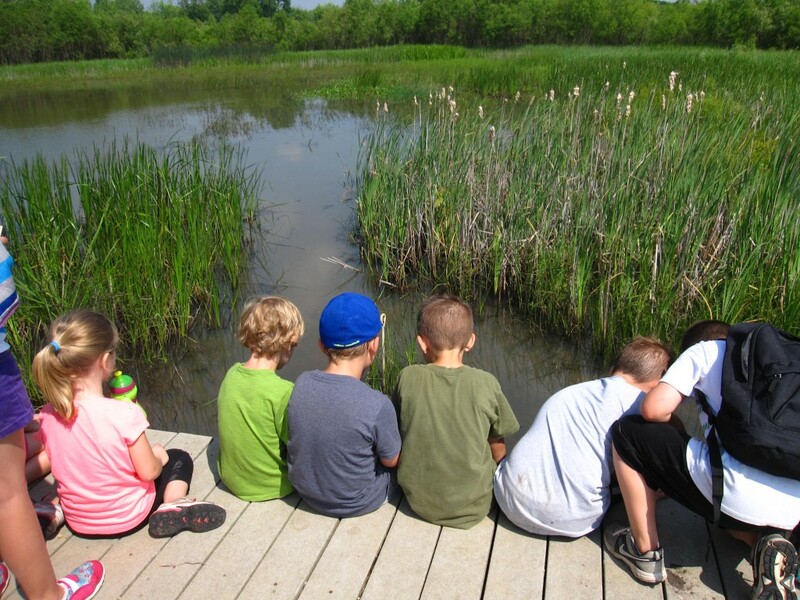 These are only four ways that nature helps our kids, and there are so many more! Check out the National Environmental Education Foundation for more valuable information on how our health and well being is connected to engaging the outdoors. 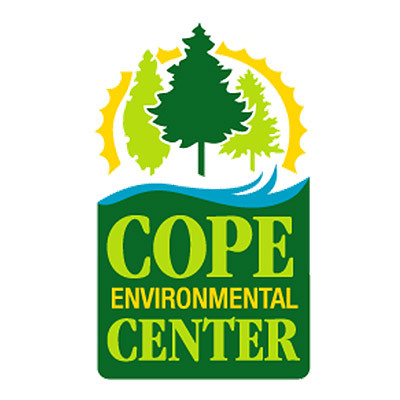 Also, there are many great opportunities here at Cope Environmental Center for both you, your child, and entire family to kick start your engagement of the outdoors! Check us out copeenvironmental.org! Feedback? Email Kyle at k.king@copeenvironmental.org!